Slip down the rabbit hole at our most luscious event of the year! This formal masquerade affords you a taste of the elegance of the old world. We will have a string trio serenading you throughout the night and our signature Midnight Waltz in the ballroom when the clock strikes 12. 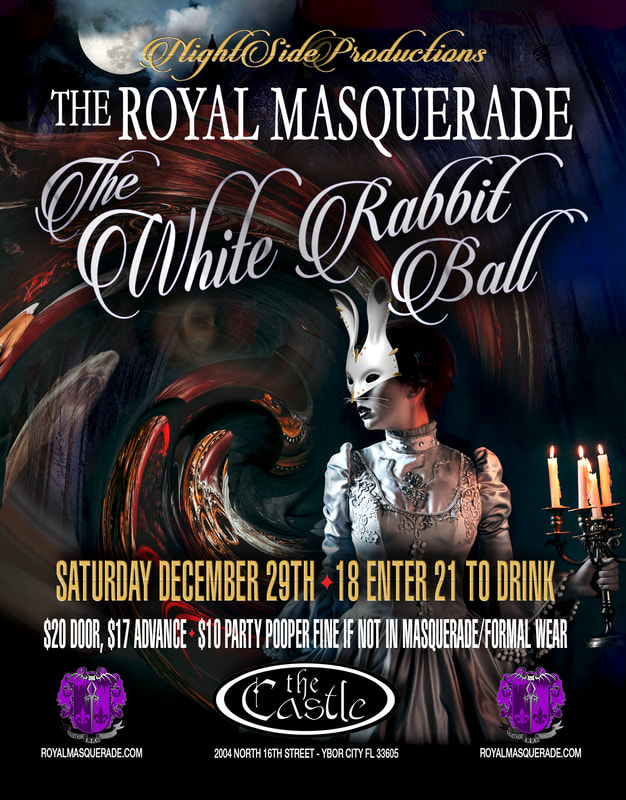 Come explore the castle in a different light at the White Rabbit Ball! !